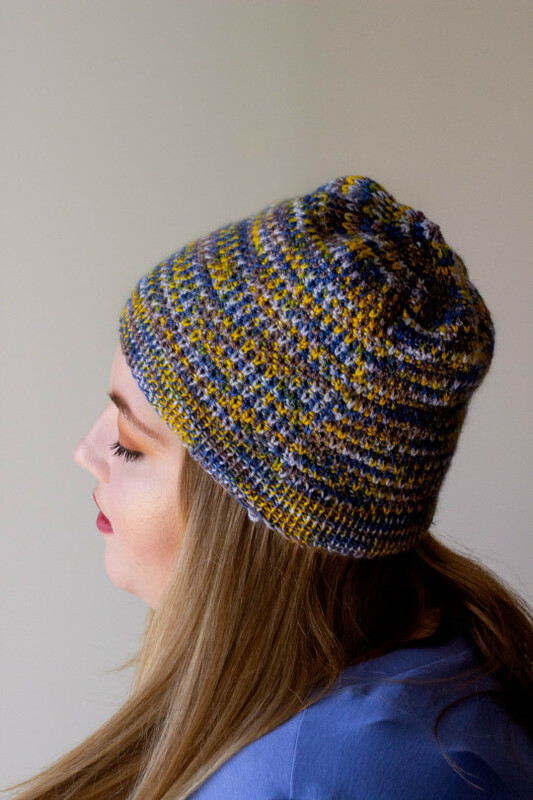 I’m all for breaking up a busy variegated colorway, and this month’s Titmouse colorway has the potential to be busy, so I tackled it with double slipped seed stitch. The end result reminds me of brightly colored birdseed scattered around my birdfeeder, which is fitting, since the colorway’s namesake, the Crested Titmouse, is a frequent and delightful visitor! 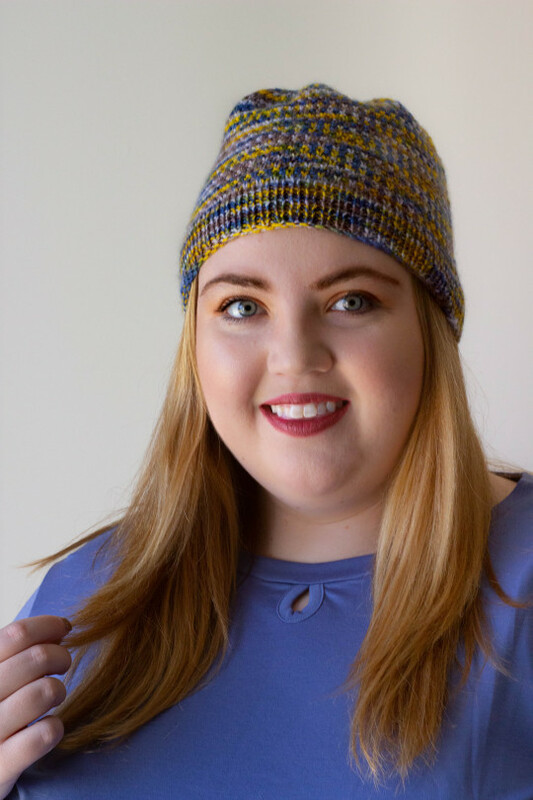 This knitting pattern is designed for 1 skein of our Knitologie Sheen from the March 2019 Knitcrate Membership Crate!